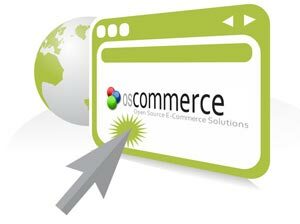 Drive more traffic and sales with effective osCommerce website development solutions! Are you planning to start a new eCommerce website? Web Design City develops content management system websites like osCommerce, Joomla. These are highly used CMS which supports websites products selling functionality. We design and develop SEO friendly websites using osCmmerce. Our developers and designers are experts and highly professional in developing shopping cart osCommerce websites with our customers business or company’s requirements. Definitely this is the place for you to get your ecommerce website to display 100 or more products. 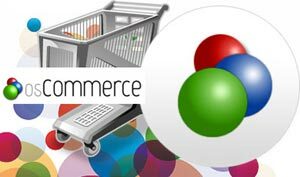 As per research - osCommerce is defined as e-commerce or online store management program or store. We can use it on any web server that has PHP and MySQL. Now a days it is a leading open source ecommerce solution for websites to go online and sell. Web Design City Sydney offers Oscommerce developers who helps you in modification, customization, documentation and installation of open source.Our company has a team of expert developers to provide customer support services. OSCommerce Services which we offer includes most importantly Custom Design and then its Customization Payment Gateway Integration and User Friendly Design. It also includes development of different Modules for Images, Shipping, Reports, Credit or DiscountIntegration3rd Party Integration with our SEO and Mobile responsive or friendly websites. We create user friendly backend which is easy to manage after your website goes live. We provide backed manual to our customers if they want to manage their websites themselves by following these manual and simple steps. Are you a startup or a small business, we offer our service to small business and corporate business as well. Our shopping cart or e-commerce website solutions are dedicated for small business website design. Our company has years’ experience in designing and developing os-Commerce websites for many small businesses in Sydney, Australia wide. For more information, you can contact us at 1300 932 587 or simply mail us at contact@webdesigncity.com.au.